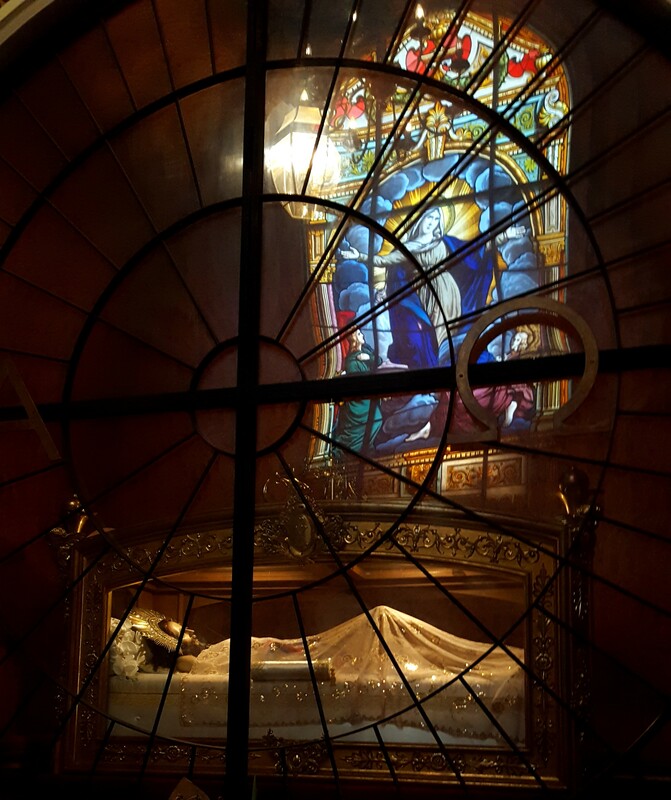 Many churches in Spanish-colonized countries have displays like these, of a bloodied Christ in a glass coffin. This one was built directly across from a stained glass depiction of Mary. Her image is eternally reflected over her son.